Your septic system uses a concrete lid to prevent odors and sewage from seeping into the ground. 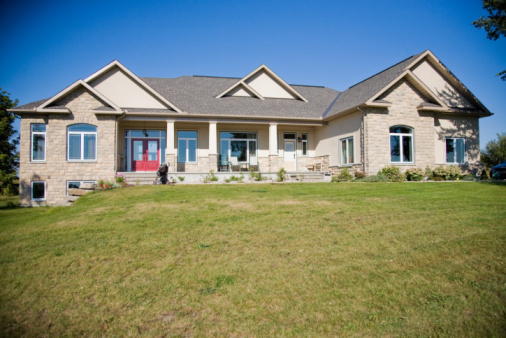 The lid requires removal every five years to have the septic system pumped out and the tank cleaned. 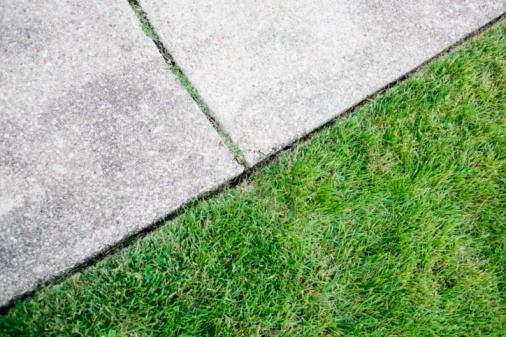 Concrete septic tank covers require replacement when they develop cracks or other damage. These can be purchased online or at a home improvement store near you. 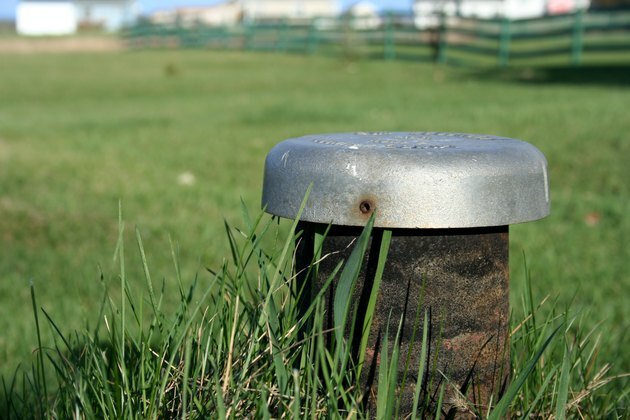 Many septic tanks have risers so the lid is visible above ground. Others are unseen as they are under the ground surface. Before digging to replace a concrete septic lid, call the utility companies to come out and mark the location of power and water lines. This prevents cutting into utility lines causing injury or more problems. Dig the ground around the concrete septic lid with a spade shovel until you reach the lid of the septic tank. Septic tanks are usually 12 to 14 inches below the ground surface. It is best to dig a 16-inch wide perimeter around the septic tank lid to give you room to work when lifting it off the septic tank. It is also best to dig 2 inches past the seam where the lid meets the tank. If your lid is on a riser, there is no need to dig. Position a pry bar between the top of the septic tank and the lid. Ask your helper to hold the handle on top of the lid. Push down on the pry bar to lift up one end of the concrete septic tank lid. Ask your helper to pull the lid handle and slide the lid to the side. If you have a large rectangular lid, repeat the prying-up process for the opposite end of the lid. Lift the lid away from the septic tank with assistance from your helpers. Depending upon the size of the lid, it might take more than one helper. Inspect the seal on top of the septic tank. If the seal has cracks or tears, replace it with a new one when replacing the lid. Measure the length and width of your septic tank opening with a tape measure. Purchase a replacement sewer cover at Home Depot or other retailer based on your measurements. If it will be a few days before your lid arrives, either place the old lid back over the septic tank or cover the tank opening with a tarp. Scrape off the old seal from the top of the septic tank, if necessary, with a putty knife. Most of the seal will come off in big hunks. Brush the top of the tank opening with a wire brush to remove any remnants of the seal and loose concrete. Lift one end of the new septic tank lid while your helper lifts the opposite end. Carefully lower the concrete lid over the septic tank, compressing the seal between the tank and the lid. Cover the septic tank with the soil, if you had to dig to the tank.